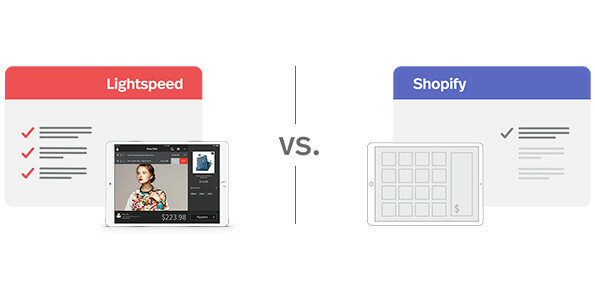 Unlike Shopify, Lightspeed offers a complete inventory system. Create bundles, POs, serialized items and products with multiple variations. Shopify is missing this core retail feature. With Lightspeed, you can create purchase orders and instantly send them to the vendor with a single click. Shopify forces you to purchase add-ons to do this. Lightspeed lets you order products that aren't in stock and put them on hold for customers, all for free. Shopify charges a separate transaction fee if you don't use Shopify Payments. Lightspeed won't no matter what payment provider you choose. Unlike Shopify, all of Lightspeed’s plans have the important features you need built into the system at no additional cost. Don’t sweat the switching process; there’s no downtime and you won’t lose any of your product, customer or vendor data. Our import tool does the work for you and our onboarding team will be with you every step of the way to make sure you hit the ground running. The best part? It's all free.